PageZephyr Search allows users to search InDesign files (INDD documents) for specific text content, in conjunction with Apple Spotlight. Text can be viewed directly within the PageZephyr Search tool or by having PageZephyr Search open the documents in InDesign. 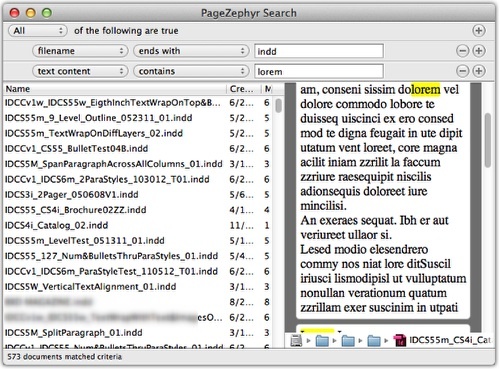 PageZephyr Search also allows one to copy the text out of an InDesign file.